Patriots for Economic Progress (PeP) have called upon government to immediately cancel the 2018 hunting licenses because of the fraudulent manner they were awarded. PeP president Sean Tembo said the licenses are only benefiting foreigners and were not transparently awarded. 1. As Patriots for Economic Progress (PeP), we have noted with regret that the 2019 Resident Hunting Ruffle that was conducted by the Department of Wildlife and National Parks (DWNP) at Ndozo Lodge in Chilanga on Friday, 26th October 2018, lacked transparency and credibility and must be cancelled forthwith. This is because the facilitators of this ruffle refused to show the audience that all eligible applications were in fact included in the box before the draws were done. Therefore, we suspect that most applications were deliberately left out of the box so as to favour specific applicants. 2. 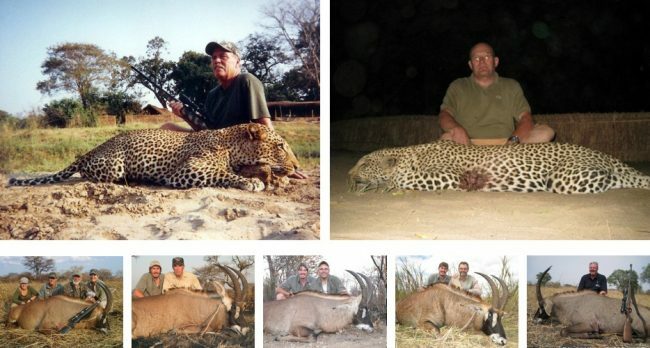 As Patriots for Economic Progress, our consternation on this matter is further exacerbated by the fact that about 90% of those that have been awarded Resident Hunting Licenses for the 2018 hunting season through this ruffle, are in fact not indigenous black Zambians, but are of white or Asian origin. This is despite the fact that of the initial applicants, about 72% were actually indigenous black Zambians. Therefore, statistically speaking, it is unlikely that about 72% of applicants can only produce about 10% of winners, if the DNWP ruffle at Ndozo Lodge in Chilanga was not rigged. 3. As Patriots for Economic Progress, we call upon the Honourable Minister of Tourism to intervene in this matter and ensure that the Ndozo Lodge ruffle of 26th October 2018 is cancelled and a fresh one undertaken, which will ensure transparency and credibility. If the Honourable Minister of Tourism fails to address this matter, then the Zambian people will be entitled to conclude that the PF and its Government are systematically sidelining indigenous black Zambians in preference of white Zambians and Zambians of Asian origin, in the allocation of national resources such as resident hunting licenses. 4. As Patriots for Economic Progress, we believe that indigenous black Zambian citizens have every cause for concern by this apparent segregation against them by their own Government. As black indigenous citizens of this Republic, we are entitled to enjoy the fair sharing of our natural resources like game meat, in our own country. In addition, the Government has a responsibility to ensure that indigenous black Zambians are not segregated against, in preference of those of a lighter skin colour and deeper pockets. 5. As Patriots for Economic Progress, we look forward to the Government in general and the Minister of Tourism in particular, addressing this apparent fraud decisively. If the Department of Wildlife and National Parks is incapable of conducting a transparent and credible ruffle for 2018 Resident Hunting Licenses, then they must refund each and every indigenous black Zambian the K1,000 application fee that they collected from them. As bonafide citizens of this Republic, we are not going to sit idle and watch this level of abuse and mistreatment by our own Government in our own country. We deserve better. Thank You and May God Bless the Great Citizens of this Republic and Our Ailing Nation.